Father Milton A. Hipsley Jr., a former longtime pastor and beloved Cumberland-area prison chaplain, died Dec. 17 at Stella Maris in Timonium after a six-year battle with Alzheimer’s disease. The Baltimore native, whose ministry of recent years focused on prayer and writing hundreds of spiritual letters, was 76. Appointed pastor of St. Mary in Cumberland in 1992, Father Hipsley spent much of his ministry visiting prisoners at the Federal Correctional Institution and the Western Correctional Institution near Cumberland. Known for what many described as inexhaustible kindness, Father Hipsley often celebrated Mass and heard confessions behind bars. One prisoner so appreciated Father Hipsley’s counsel that he crafted a cross for the priest using threads from his prison uniform. Another inmate confided to the priest after receiving absolution that if there was ever a riot, he would throw himself over Father Hipsley to protect him. After his 2008 diagnosis of Alzheimer’s, Father Hipsley stood outside a prison gate wearing a stole. He made the sign of the cross in the air and offered absolution to all those inside who were truly sorry for their sins, but were unable to confess to a priest. 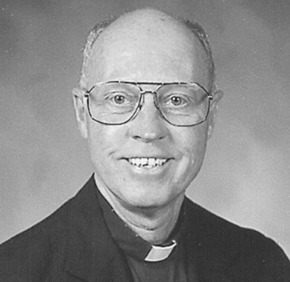 After graduating from Mount St. Joseph High School in Irvington and serving in the U.S. Army, Father Hipsley prepared for the priesthood at Mount St. Mary’s Seminary in Emmitsburg, and was ordained in 1970. 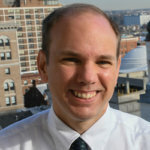 He served as associate pastor of St. Agnes in Catonsville, St. Clare in Essex and St. Charles Borromeo in Pikesville before he was named pastor of St. Thomas Aquinas in Hampden in 1983. He was pastor of St. Mary in Cumberland from 1992 to 2008, when failing health forced his retirement. Joan Ruppenkamp, active in many parish ministries at St. Mary, said Father Hipsley was always concerned about the poor, the lonely and the imprisoned. A nature lover, he enjoyed hiking the Cumberland mountains and kept a trunk full of pinecones. At the suggestion of Archbishop Edwin F. O’Brien, Father Hipsley began writing letters after his diagnosis, mailing spiritual ponderings to a wide range of people including newspaper reporters, family members, former parishioners and strangers during a period of about three years. In a 2010 interview with the Catholic Review, the stocky priest said he hoped his readers would gain spiritual insights. Ruppenkamp remembered Father Hipsley once told her he had always wanted to be a cloistered priest devoted to prayer, but his father suggested it would be better for him to minister in the world. Father Hipsley will lie in repose at St. Agnes in Catonsville Dec. 21 4-8 p.m., with a vigil service to be held at 5 p.m. Archbishop William E. Lori will offer a funeral Mass at St. Agnes Dec. 22 at 11 a.m.